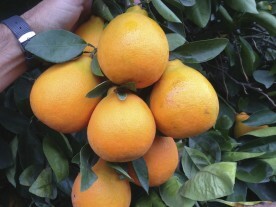 Also known as “Tangelo”, since it is the result of a Tangerine (the name Tangerine originated in the 1800’s in specific relation to deep-orange skinned variations of the Common Mandarin which were growing in the Tangiers area of north Africa, but the name has become synonymous, often incorrectly, with many other varieties of deep orange easy peeler) – Pomelo (grapefruit) hybrid. 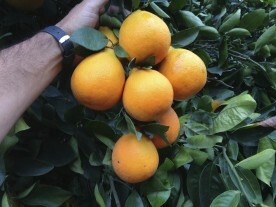 Minneolas originated in Florida, USA and grow particularly well in the drier conditions typical in southern Peru. 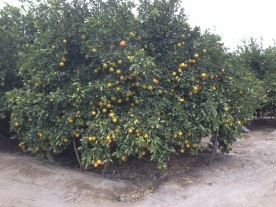 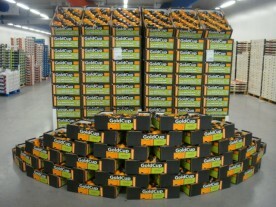 The Minneola tree produces large, juicy fruit with a very distinctive flavour.